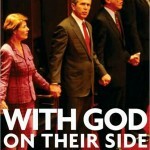 Investigative journalist Esther Kaplan talks about her book, With God on Their Side: George W. Bush and the Christian Right (encore show from February 2006) and Dr. Tom Plaut talks about asthma and how to prevent the kind of attack that killed journalist Anthony Shadid. His book is One Minute Asthma. This week, in light of what seems to be an increasing assault on women’s reproductive rights, we bring you our 2006 interview with the author of a terrific book about the Christian Right, With God on Their Side (2006, New Press). It’s about the influence of Christian Fundamentalists on the White House, then under George W. Bush. But its lessons are, if anything, more relevant today during this 2012 electoral campaign — when right-wing theocratic Republicans are running to take back that office from a Democratic president. 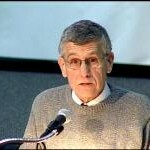 In With God on Their Side, Esther Kaplan discusses the Christian Right’s war on science, women’s health, and democracy. Listen back and reflect on how much more developed are the trends she speaks about — and how they could, once again, take the White House. 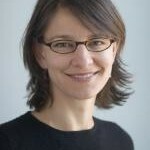 Esther Kaplan is editor of the Investigative Fund at The Nation Institute. She has written for The Nation, The American Prospect, In These Times, The Village Voice, and other publications. She is co-host of Beyond the Pale, a weekly program covering Jewish culture and politics, on WBAI in New York City. She was a founding contributor to Talk To Action, a website devoted to progressive discussion about the religious right. When journalist Anthony Shadid died on February 16, it was a shock to all. But even more shocking was that he died of asthma — a condition we don’t usually think of as fatal. But almost 5,000 people die every year in the US from the disease — and my next guest says, it doesn’t have to be that way. 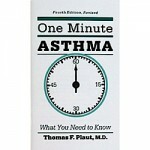 Dr. Tom Plaut has written three books on asthma: Children with Asthma: A Manual for Parents, Dr Tom Plaut’s Asthma Guide for People of All Ages, and his runaway best seller, One Minute Asthma: What You Need to Know. Tom Plaut’s been treating asthma patients For over 25 years and has developed techniques to help people manage the disease successfully at home.